Breathtaking changes in healthcare are leaving many of us with a nagging lack of confidence. The field of PT, OT and SLP are developing so quickly that I always feel one step behind. Robert Kegan’s book, In Over Our Heads, captures the distinct impression I get when I talk to therapists from all over the country. Regardless of our work setting, the majority of us feel like we are in over our heads. Just when we think we’ve mastered our craft or the new software update, circumstances or expectations change. In this new economy, we can easily say that no one can say they are the master of their discipline, or they’ve got technology under control. Not anymore, there’s just way too much stuff to keep organized. Perhaps we learn how to declutter our minds a bit from the hit reality show Tiding Up that is creating quite a buzz on Netflix. The star Marie Kondo is a professional organizer and author from Japan. In her wildly popular show and book, she unleashes her magical powers in households that are overwhelmed with clutter. Marie is transforming lives by eliminating clutter and reimagining how families look at their relationship to stuff. Creating space through Zen-like organization people are able to see what’s most important in their lives. “Oh my God, I forgot I had this!” is a common exclamation among the shows purgers of junk. Long forgotten prize possessions are discovered amongst the clutter. People gradually understand that more is not better. To experience beauty in simplicity may be a healthier lifestyle. The KonMari method encourages people to take control of their lives by discarding clutter for what they value. 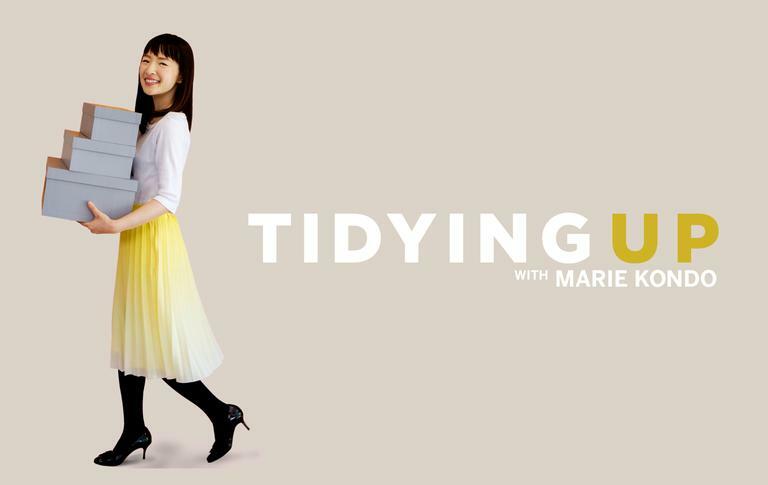 As I watched a recent episode with my wife, I wondered if Kondo’s method of tidying up could be used to clear our minds. Our brains have a limited capacity to process information at any given moment. Like a house or apartment, we have limited brain space to store our mental stuff. Most therapists love to learn. For the most part, they are pretty bright and have a craving for knowledge. Some are knowledge hoarders. They are addicted to collecting new information, the latest research and new techniques. Their brains are stuffed with knowledge from reading journals, books and attending conferences– way more information than they’ll ever use. When I talk with therapists who want to start or grow their practices, many are distracted by an overabundance of good ideas. They subscribe to several podcasts, watch TED Talks, and are constantly on the hunt for quick and easy answers on the Internet. Their quest for more information seems to leave them more distracted and confused than when they started. The average worker receives about 90 emails per day. Worldwide, iPhone users send about 53 text messages per day. That’s a lot of brain clutter. Distractions and clutter that aren’t worth our attention take up brain space. This reduces the bandwidth available for things that really matter. One KonMari principle that rules the quest for simplicity is only keeping items that “spark joy”. Joy is a powerful emotion. It’s different from passion or happiness. If you want to discover more of your personal essence– reflect on what brings you joy. Apply the KonMari method to your work and relationships. Which ones spark joy and if you can, say goodbye to the ones that don’t. I’ve found it difficult to recognize joy when I’m in the midst of my workday. The pace is too fast. Unless we stop for reflection we may lose our sense of joy in midst of the daily clutter. I block out time on my weekly schedule for quiet reflection. I look back on my week for sparks of joy. It might be a sense of confidence in my judgment or actions. It might be just knowing that I did the right thing or used my gifts wisely. Once I identify those activities I give thanks and try to cultivate them. Sparks of joy are connected to our values and priorities. Joy helps us to clear out the distracting clutter to focus what’s worthy of our attention. For items with emotional attachments, Marie encourages expressing gratitude for them. If a possession no longer inspires joy, thank it for its service then say goodbye to it. The same can happen with non-physical elements like ideas, strategies or plans. We become emotionally attached to ideas especially if we’ve invested a lot of time and money. William Faulkner said, “In writing, you must kill all your darlings.” Darlings, in writing, are those words, sentences, and even chapters that writers are often most proud of. They love them, keep them and when editors take them out authors are crushed. The problem with darlings is they clutter up the message for the reader or listener. I see therapists make the same mistake when they try to explain their services to a prospective client. The conversation is clutter with medical jargon. 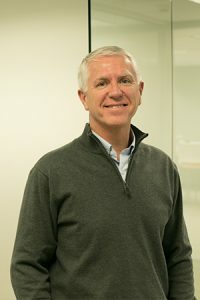 They talk only about their “darling” techniques, specialization, and certifications. Listeners leave the conversation more confused still looking for someone who will help them. Be grateful for your knowledge and expertise then say goodbye to them. Reduce your practice building conversations down to its essential elements. I put together a guide to talk about what you do in two or three sentences. CLICK HERE to download your free copy to refine your core message. Many of us say yes to impulse purchasing because of an emotional need to please or impress. It takes emotional discipline to say no. To eliminate the essentials from the trivial usually involves saying no to someone. That someone might be our false self-image. Knowledge alone puffs up. If it only inflates your ego then your just adding fluff to brain storage. You are not your stuff. Accept yourself, love yourself and let go of the stuff that really isn’t you. That might be an instructor or emotional baggage from the past. Or it might be letting go of becoming a therapy guru to be a great mother or husband. Everybody makes mistakes. We all have moments of poor decisions or fear. Our losses may be self-inflicted or they may be out of our control. No matter the cause we need to let that stuff go. If you catch yourself going back to the dumpster to bring it back, give thanks for what it taught you and look to the future. The real question is not how can we have or do it all. The real issue is what you choose to think about-to believe–to love. Remember, when we forfeit our right to choose what we think about, someone else will fill our minds for us. The truth will set us free from the clutter to live the lives for which we are called. If you would like to clear out some of your brain clutter regarding your calling or career, CLICK HERE for a free strat chat with me. Wonderful Blog Paul and So true! Thank you for the support and the tips in this article. I love knowing we are not alone as we build our practices while trying to stay authentic and not lose ourselves in the worlds view of our productivity and value. We each have a gift:factor we offer to our clients and ‘ decluttering’ is something I haven’t considered! Thank you!